Pet specialty retailer adds life stage-focused subscription boxes to online pet gifting options just in time for holidays. SAN DIEGO, Nov. 15, 2017 /PRNewswire/ — Petco today announced it has acquired PupBox, a puppy- and life stage-focused subscription service company that delivers customized products and training information to new puppy and dog parents based on their pet’s current stage of development and physical characteristics. Alongside the acquisition, and just in time for the season of gifting, Petco and PupBox have launched the first-ever PupBox Holiday Box, a festive bundle of toys, treats and holiday training tips, perfect for any pup or pet parent on your list. Each Holiday Box is customized based on pet size and features a few seasonal favorites hand-selected by the PupBox and Petco teams. The Holiday Box is now available online at petco.com and at select Petco stores. PupBox’s core subscription offering is designed to help new pet parents navigate the many joys and challenges of puppyhood and beyond. The company delivers monthly bundles filled with developmentally appropriate products that range from toys and treats to grooming tools and accessories. Each PupBox also includes a training guide filled with information to help pet parents keep up with their pet’s changing training, developmental and physical needs. PupBox was co-founded by Ben and Ariel Zvaifler in 2014 after they adopted a new Goldendoodle puppy, Maggie, and then struggled to find products that were perfectly suited for her constantly changing needs. After success as an early stage start-up, the San Diego-based company appeared on ABC’s Shark Tank in November 2016, where they secured funding from investor Robert Herjavec, and have since gone on to more than double their sales. As part of the acquisition, Ben and Ariel, along with the entire PupBox team, will join Petco. Terms of the deal will not be disclosed. 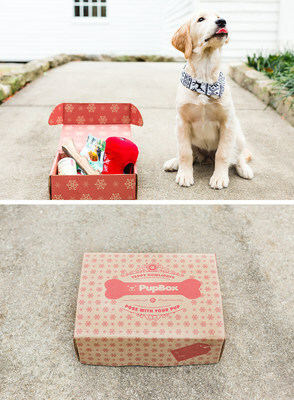 To learn more, order a Holiday Box or sign up for a PupBox subscription, visit petco.com. With more than 50 years of service to pet parents, Petco is a leading pet specialty retailer that obsesses about delivering health and happy experiences for pets and the people who love them. We do this by providing the products, services, advice and experiences that keep pets physically fit, mentally alert, socially engaged and emotionally happy. Everything we do is guided by our vision for Healthier Pets. Happier People. Better World. We operate more than 1,500 Petco and Unleashed by Petco locations across the U.S., Mexico and Puerto Rico; prescription services and pet supplies from the leading veterinary-operated pet product supplier, Drs. 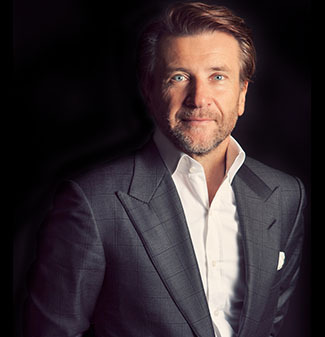 Foster & Smith; digitally-delivered pet health advice through PetCoach; and petco.com. The Petco Foundation, an independent nonprofit organization, has invested more than $200 million since it was created in 1999 to help promote and improve the welfare of companion animals. In conjunction with the Foundation, we work with and support thousands of local animal welfare groups across the country and, through in-store adoption events, help find homes for more than 400,000 animals every year.